Once you’ve completed Butcher’s Bill 2, have a chat with P.A.M., the repurposed Assaultron belonging to the Railroad. She’ll ask you to set up a new safehouse for the Railroad, and give you a settlement you need to clear out and secure. Thus beginneth the mission. 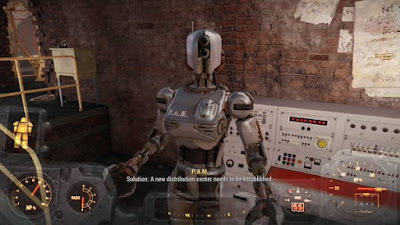 The safehouse P.A.M. designates is random, but it’s going to be one of the many, many areas that you can settle for the Minutemen during the normal course of play. Unless you have settled every area already, P.A.M. will automatically choose a settlement you don’t already own. If you possess all of them before this mission begins, she’ll pick one from your list of established settlements. It’s possible you’ll have completed the mission requirements before you have to go anywhere, in short. Mercer Safehouse quest in Fallout 4. Good enough. Sixteen Steel. Steel is everywhere in the mass majority of settlement areas. A nice, juicy wrecked car should do. Two Circuitry. You typically get Circuitry by destroying other Turrets. If you didn’t do that here, find a random Raider den and crush it. Hot Plates are another, fairly common source of Circuitry, though they’re far less noticeable than Turrets. Four Gears. Gears come in all manner of junk items. Desk Fans are perhaps the most prominent example, as they can be found freaking everywhere. Four Oil. Oil’s a bit rarer, but you can usually get it by scrapping Oil Cans, which aren’t too rare. Garages and maintenance rooms are good places to find sources of Oil. 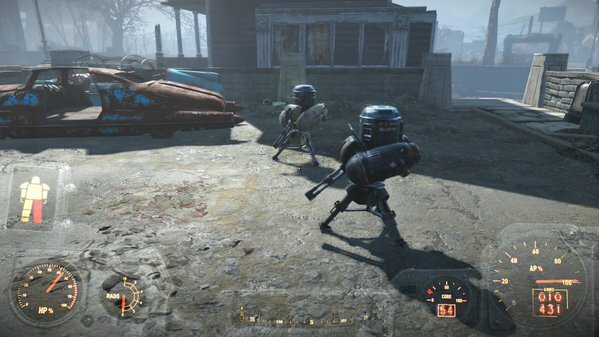 Return to P.A.M. once you’ve set up two Turrets (doesn’t matter where) to complete the quest. After you’ve done so P.A.M. will start dispensing Jackpot missions. 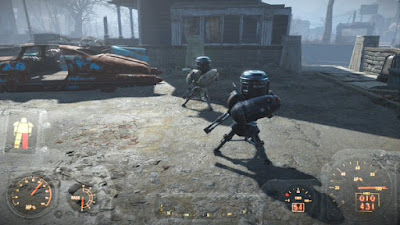 This will place a Mercer Safehouse location beside the settlement on the map, which, as far as I can tell, doesn't really do anything to change the settlement.